Torrent + Direct - Malwarebytes Premium Anti-malware 3.1.2.1733 Repack / Corporate 1.80.1.1011 | Team OS : Your Only Destination To Custom OS !! 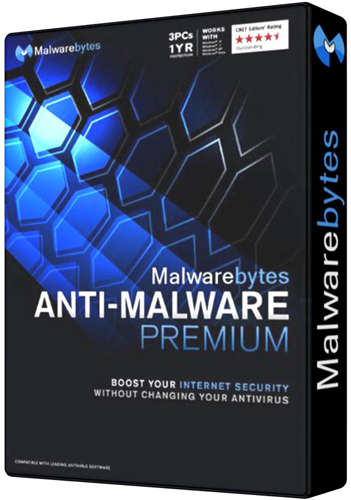 Malwarebytes Anti-Malware is an anti-malware application that can thoroughly remove even the most advanced malware. Malwarebytes products have a proven record of protecting computers by completely removing all forms of malware, including viruses, Trojans, spyware, adware and rootkits. When it comes to the safety of your computer, Malwarebytes provides the ultimate in protection from the cutting edge of technology! Malwarebytes technology takes the next step in the fight against malware. 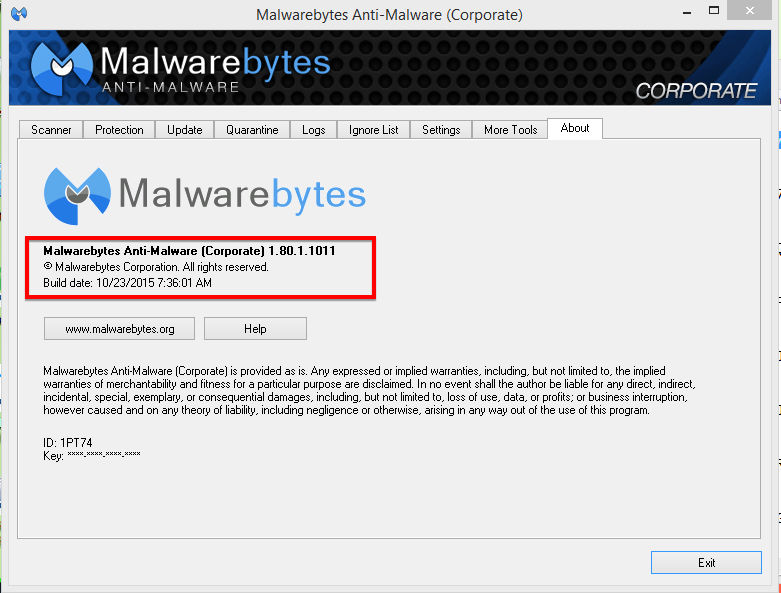 Malwarebytes Anti-Malware PRO detects and removes malware where even the best known anti-virus and anti-malware applications fail. Malwarebytes Anti-Malware PRO monitors every process and stops malicious processes before they even start. The Proactive Protection Module of Malwarebytes Anti-Malware Pro keeps your system safe and secure with advanced heuristic scanning technology. 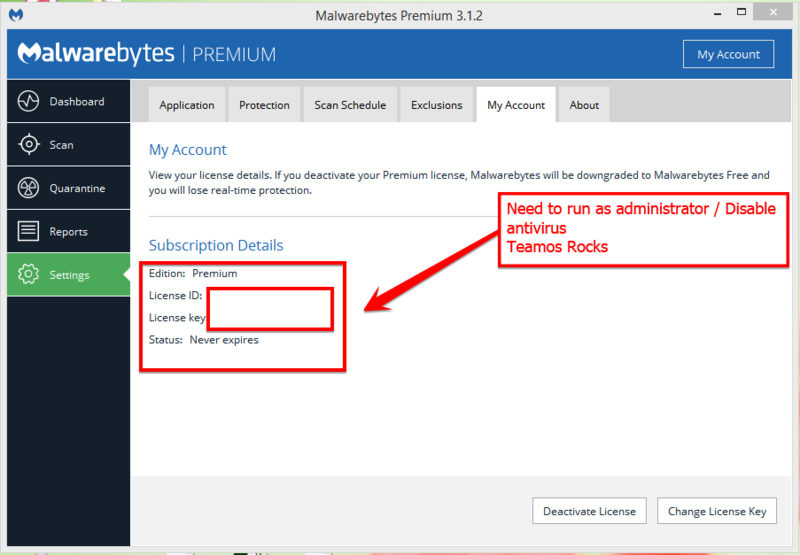 Malwarebytes Anti-Malware Premium includes three proprietary technologies (signature, heuristics, and behavorial) that automatically protect you and your online experience from malware that antivirus products don’t detect. It employs malware removal techniques so innovative that computer technicians often recommend Malwarebytes when an antivirus can’t finish the job. Proprietary Malwarebytes Chameleon technology protects Malwarebytes Anti-Malware Premium against malware’s attempts to disable it, so you’re always protected. Ans: It is important to note that Malwarebytes Anti-Malware, works well and should run alongside Antivirus software without conflicts. Hope i have answered your question mate. It works but sometimes pops ups that it cannot connect to license server. Once I install this and activate can I continue to update the software without effecting the License that was put in? The you so much Eng.Joe392 this one is very helpful. Run the software with ADMINISTRATOR RIGHTS. Try again & Good Luck. in instruction it says "Add the following line into hosts file: 0.0.0.0 keystone.mwbsys.com". tell me how?